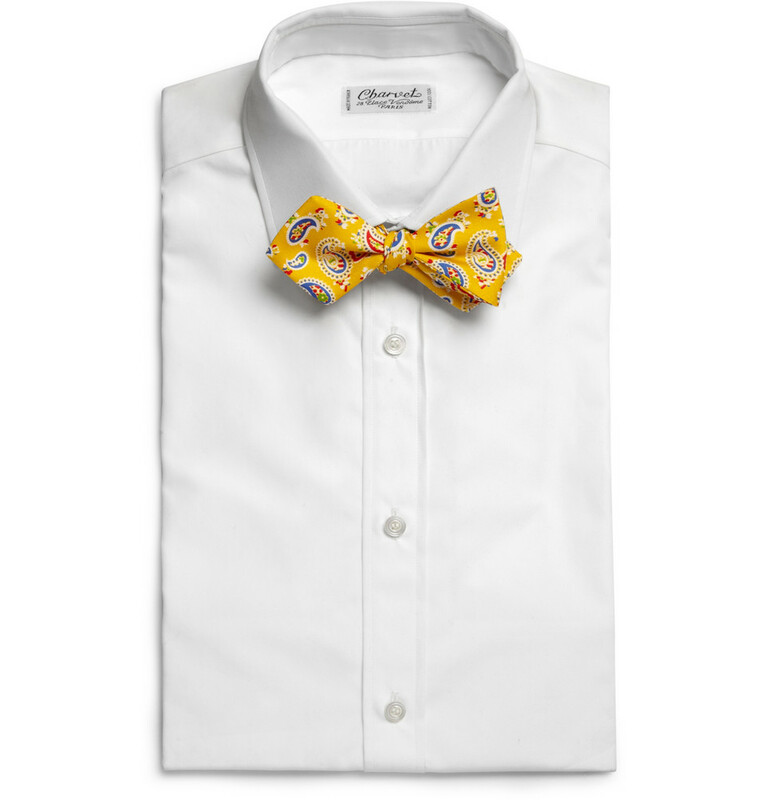 Give your look a dapper focal point with Drake’s paisley-print bow tie. Originally hailing from India, this popular pattern returns to its exotic roots with a vibrant colour palette. Wear it to highbrow events and off-duty gatherings for preppy effect ($135).